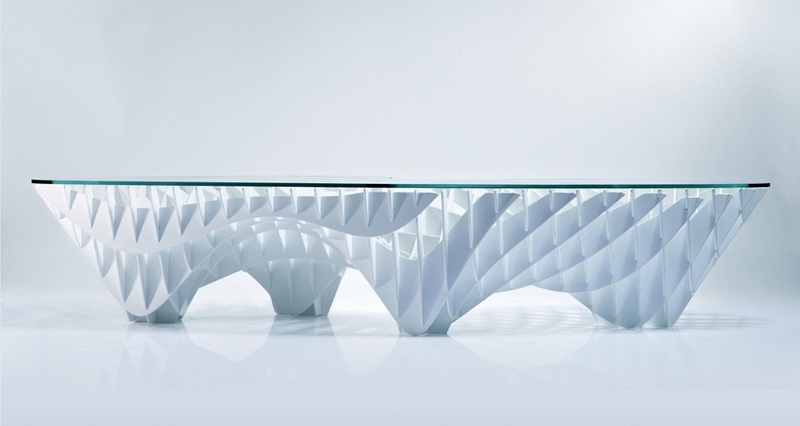 The coffee table was born in 2009 and belongs to the family of products “Section” of Gt2P Chilean design brand. 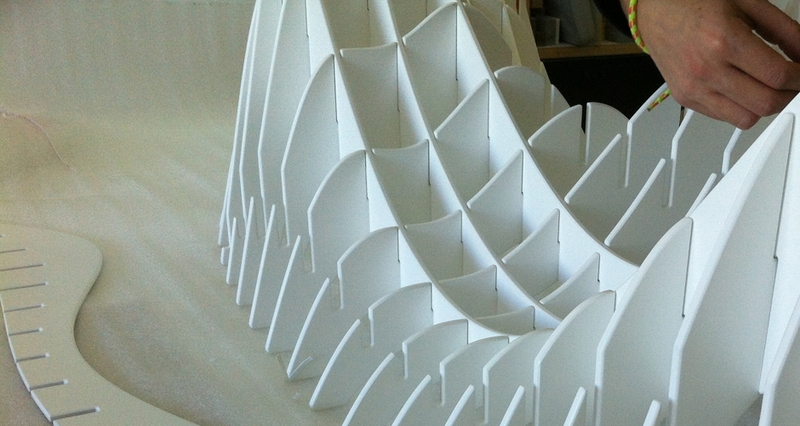 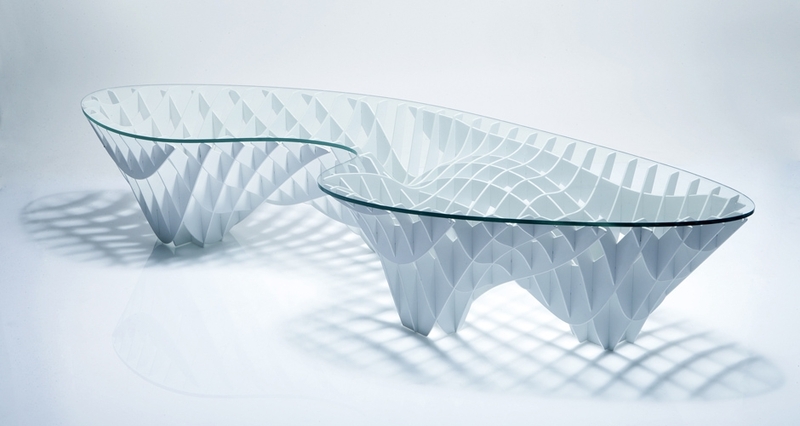 Sectionimal Table design was created from digital modeling with parametric generative algorithms. 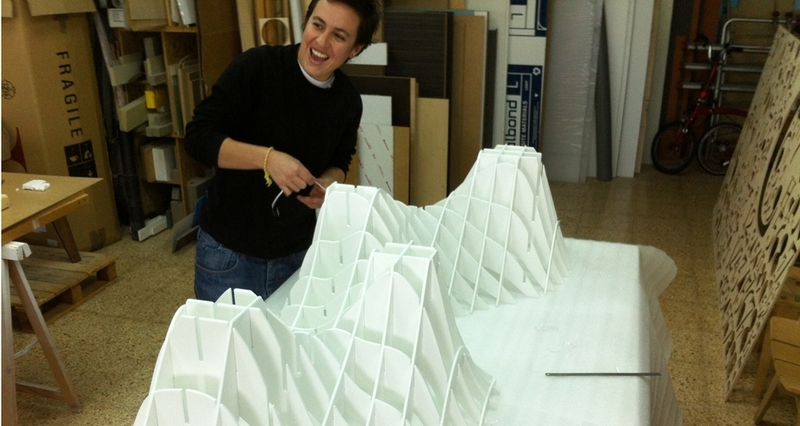 The table has a free volume sectioned and is assembled from its manufacturing plans. 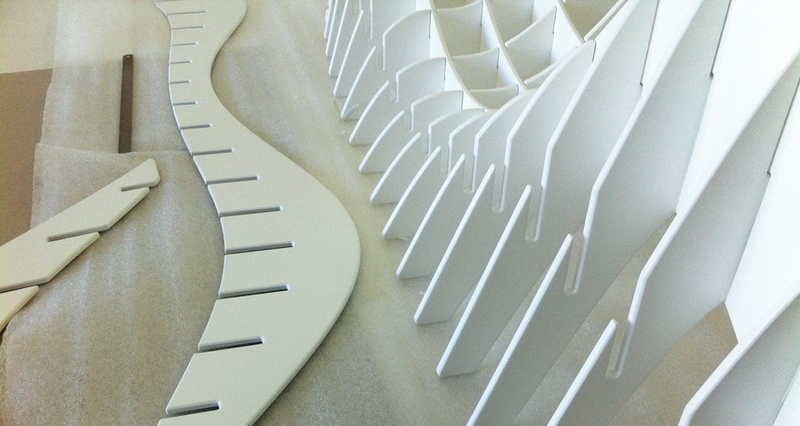 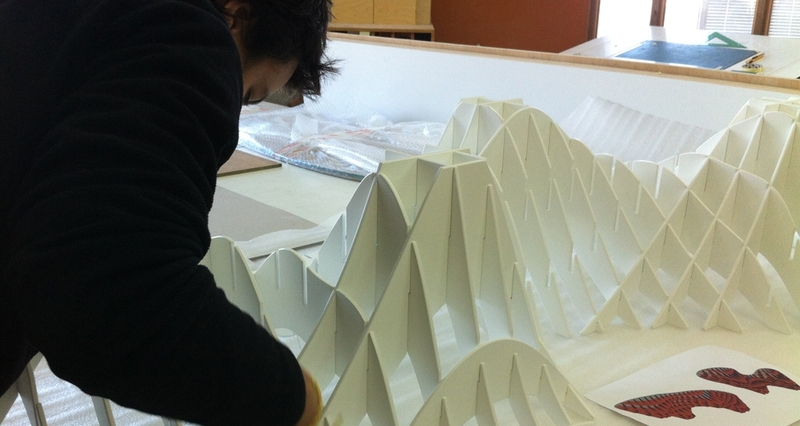 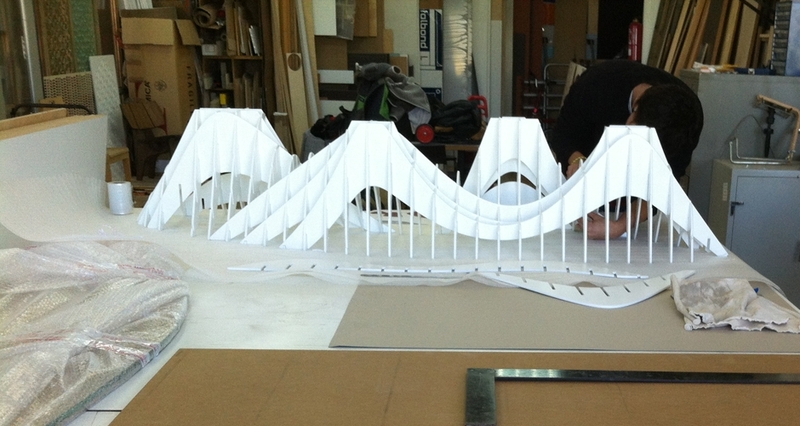 In 2012, Mediodesign produced a unique piece in Corian for a particular european client.